NORTHMATE proudly presents the new MINI GREEN. GREEN by NORTHMATE is a designed tuft of grass that turns your dog's meal into a challenging game, the desired amount of dog food is scattered across the GREEN, and after this, it is up to your dog to push the food out between the many blades of grass. GREEN by NORTHMATE prolongs eating time significantly. This results in a happier and healthier dog. 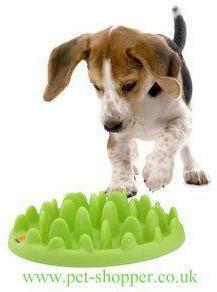 GREEN by NORTHMATE is available in two sizes, designed to be used for all dogs, regardless of weight and breed. GREEN is available in two sizes.